LAST year saw me review a lot of books - and a large number of them from indie authors. There's some cracking reads out there from non-traditional publishers, so it seemed only too right that I pick out some of my favourite reads from the year, some indie, some not. This doesn't go by year of publication - some of those won't have come out in 2016, but that's when I read them, so here, without further ado and in no particular order, are my top five reads from last year. I could have been spoiled for choice with titles from Bonnie Milani last year, who also had the novellas Liquid Gambit and Cherry Pickers in my reading list, the latter of which will be reviewed here on the blog shortly. 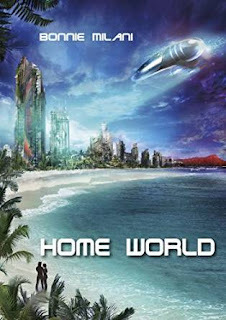 But Home World is where I encountered her writing first, and darn it, if she doesn't write with zing and style. Home World sets its tale in a world of politicking and elites, but wraps it up in a bundle with interplanetary warfare, genetically modified humans, and some delightful touches with the exploration of linguistics too. A heady mix of romance and intrigue in a well-defined future universe, also explored in the Liquid Gambit novella. I've followed Chuck Wendig on Twitter for quite a while, but last year was the first time I dove into the pages of his books. I started with his Star Wars novel Aftermath - and was disappointed, but should have started here, with this belter of a book. The writing is short and sharp, and the cast of characters filled with messed-up, damaged people making the wrong decisions and only sometimes for the right reasons. 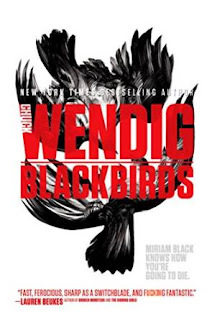 You find yourself quickly wrapped up in the seedy world inhabited by Miriam Black, who wields the unwelcome power of seeing the deaths of those she touches. Imagine that world, where everyone you met, you saw how they ended up, be it dying in a nasty, brutish way or fading away with the ravages of disease. It's a dark, bitter pill of a novel, and burns deliciously as you swallow it. I discovered the work of Jennifer Foehner Wells thanks to her short story in the Dark Beyond The Stars anthology. It was a thoughtful exploration of gender and language and made me very much want to read more. Fluency is set in the same universe as that short story, and its a cracking read, though much more pulp sci-fi action than I might have expected from that first dip of my toe into the setting. 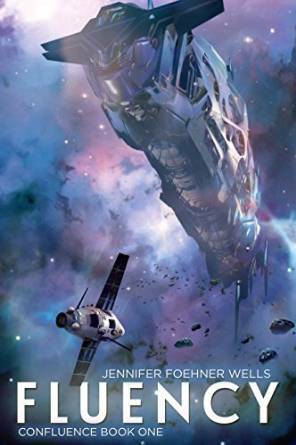 With influences that hint at everything from Carl Sagan and Greg Bear through to HP Lovecraft and Indiana Jones, the story plunges us into space alongside the crew of a ship sent to investigate a very unusual object in our solar system. Linguist Jane Holloway becomes the central focus as she tries to communicate with the very alien intelligence on board the spacecraft lurking in the asteroid belt, and the stakes mount as the crew begin to suffer the consequences of first contact with radically different lifeforms. A great read - book two is on my to-read list for the next few weeks too, and there's a cliffhanger that leads directly into it. Hmm, must move it up my queue! By golly, this deserves to be a blockbuster TV mini-series. Let me set the scene: An asteroid is headed towards Earth, and humanity must race to destroy it, deflect it, or find ways to survive it. 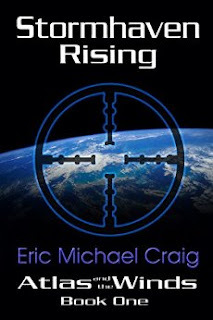 But for the length of this book, the threat is not as much the distant asteroid, as the political machinations as governments try to keep its existence secret while putting plans in motion to stop it, not all of them the best laid plans. Step forward the science-driven corporation Stormhaven, who may just prove to be humanity's best hope - if only the government will get out of the way. A top-notch political thriller as well as a solid sci-fi epic, this seamlessly leaps from within the corridors of power to deep space and even to the first steps to establish bases on the moon as a possible hideaway if the worst comes to pass. This is book one, so there's much more to come... not least of all that asteroid. There were many great anthologies I read during 2016 - including some five-star books by the likes of Jason Nugent and Maria Haskins - so it takes a special title to pip those to the post. And Merely This is very special indeed. 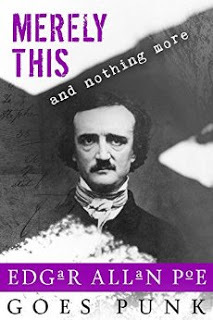 Take the dark master Edgar Allan Poe and throw him into a world of all things punk, and let writers loose to do with his work as they will, and you have this. The House of Usher falls into a new cyberpunk world of nanobots and file corruption, The Tell-Tale Heart has a very modern update too, while we soar in steampunk airships in Nils Nisse Visser's The Oval Sky Room. What were your top reads of last year? I'd love to know, not least for my reading list for 2017! Drop a note in the comments, or hit me up on Twitter, @AlteredInstinct. Too many to choose just five! Ohhhh it was tough whittling it down! So many that I kept umming and ahhing over!